This webcast will review recently published web application threat intelligence from IBM, Verizon and Symantec to provide a current view of the web application threat landscape. The changing methods and motives of attackers will be reviewed as will the best practice methods for detecting and defending against the risks these threats represent. > Find out how web application attacker's methods and motives are changing from recently published threat intelligence. > Gain insight into the trends that are exposed by breach investigations. 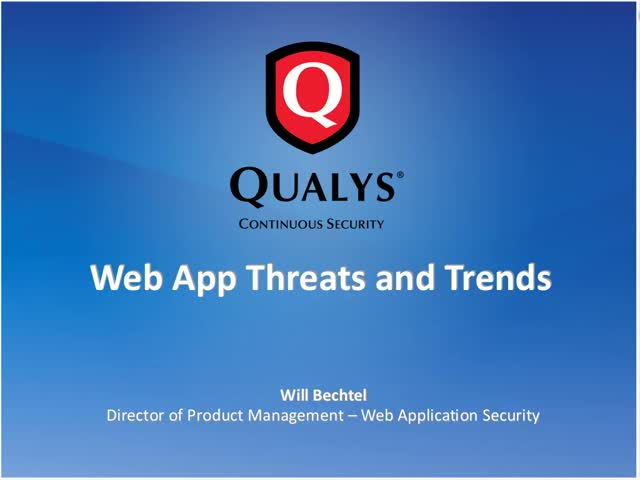 > Learn how to detect and defend against the most common and risky web application attacks.